Himalayan Salt Stone Massage™ is an innovative healing technique using warm salt crystal stones to ground and balance the body's electromagnetic field, central nervous system and meridians. Salt crystals from an ancient primal sea beneath the Himalayan Mountains are hand-carved into massage stones that gently soothe away an accumulation of stress, tension and pollutants. 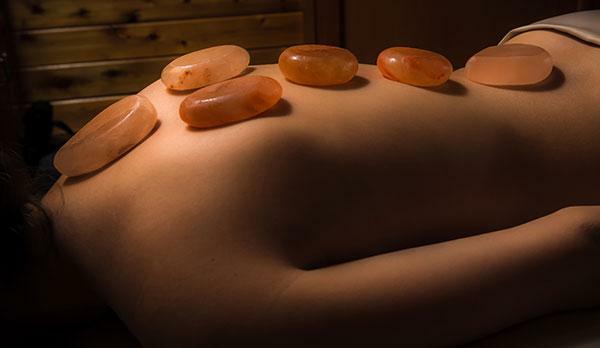 Feel the energy of the 250 million year old mineral salt as you enjoy a gentle massage with these crystal salt stones. Please speak up if you would like more pressure or less pressure, or if the stones are too hot. The therapist will immediately customize the pressure and heat to your preference.